Looking for a fun way to display Christmas Cards? Or maybe just a way to keep them off the counters and table this Christmas? 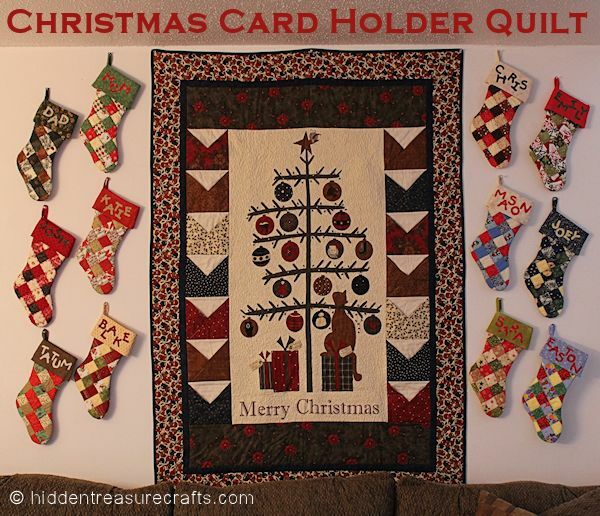 Make a simple Christmas Card Holder Quilt! This Quilt has pockets to hold cards – making them easy to tuck in after they’ve been opened and read. See how the Christmas Card Holder Quilt is made.